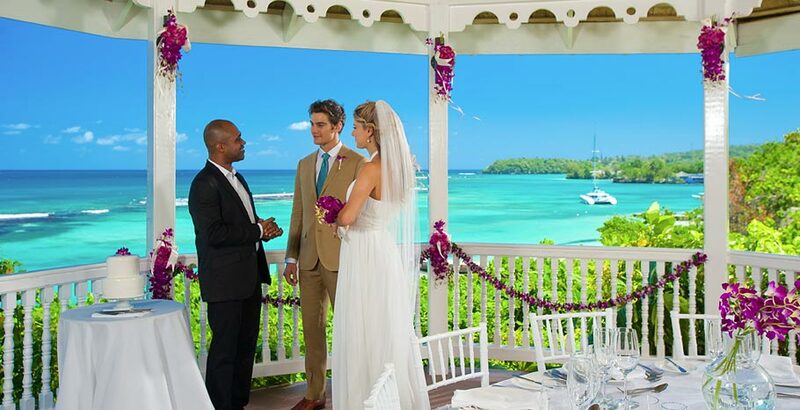 Over the water chapels are now available at Sandals South Coast in Jamaica and at Sandals Grande St. Lucian in St. Lucia. 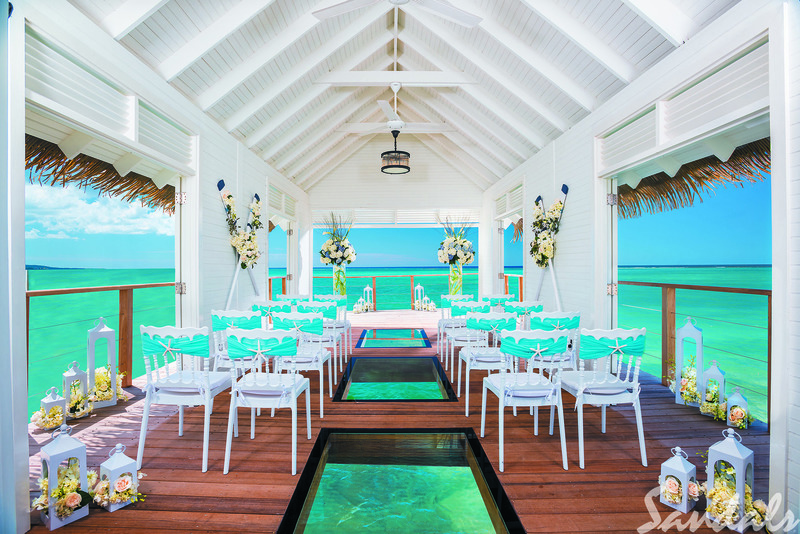 With 360-degree panoramic water views and a glass floor aisle, the over the water chapels are a once-in-a-lifetime experience only offered in the Caribbean by Sandals. 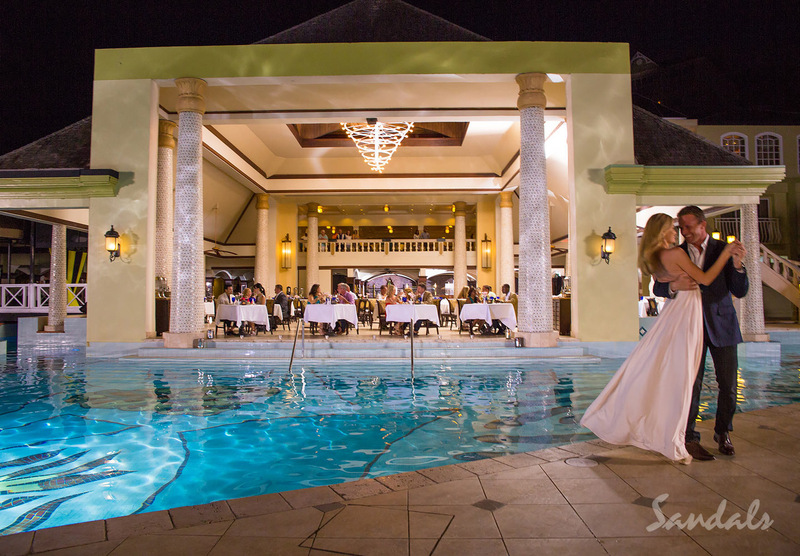 Sandals South Coast in Jamaica, is set on a 2-mile stretch of Jamaica’s south coast’s most pristine white-sand beach and nestled within a 500-acre nature preserve. The resort features three distinctive European Villages. You can relax by one of three pools, including Jamaica’s largest, or dine at the new Sushi on the Sand restaurant. At night, extravagant bonfire areas and fire pits add to the glow of this truly unique destination. 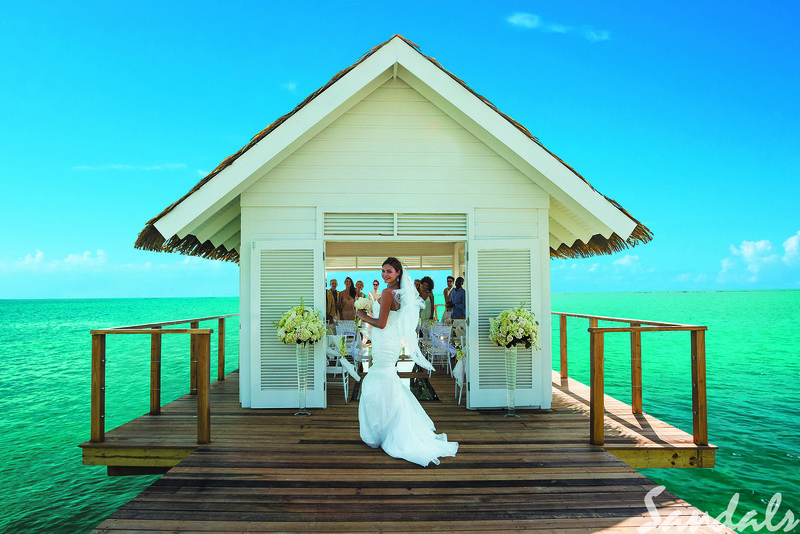 From all-new Over-the-Water Bungalows, an over water bar, and a romantic Over-the-Water Chapel, Sandals South Coast brings guests closer than ever to the water. The over the water chapel seats up to 20 guests in the interior with an additional 10 available exterior. 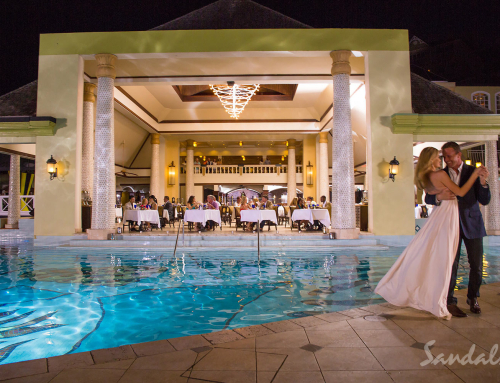 The right size for a destination wedding. 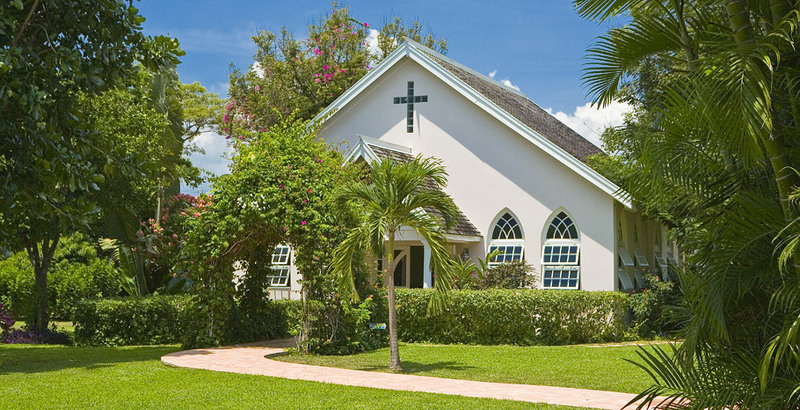 Catholic Weddings are available at this wedding chapel. 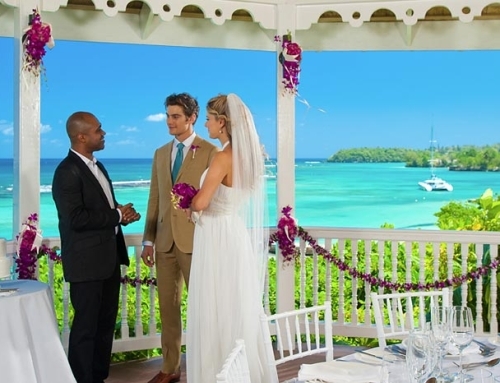 Sandals Grande St. Lucian in St. Lucia, is located to the west by Rodney Bay – boasting the calmest waters in all of Saint Lucia – and to the east by the Atlantic Ocean, showcasing awe-inspiring panoramic views. Volcanic mountains rise from a clear blue sea. A sheltered mile-long beach provides endless water play. This resort also has 12 new over the water bungalows….romantic! The over the water chapel seats up to 30 guests in the interior with an additional 10 available exterior. 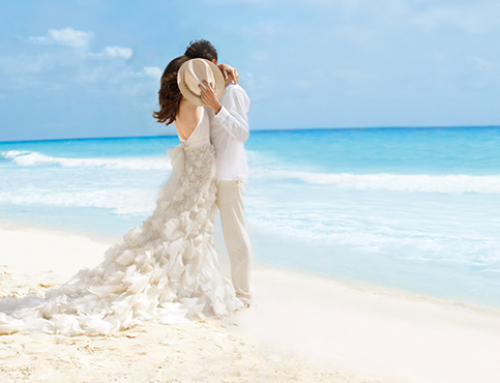 Perfect for a larger destination wedding. You will be walking on water instead of clouds! These new chapels will be high in demand for sure. So, if a destination wedding is for you and you want to be over the water (besides the moon) don’t hesitate. For more information contact Brides Travel . 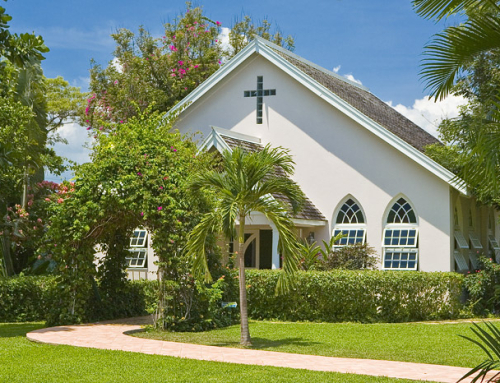 View the resorts and chapels in detail at Sandals.com. 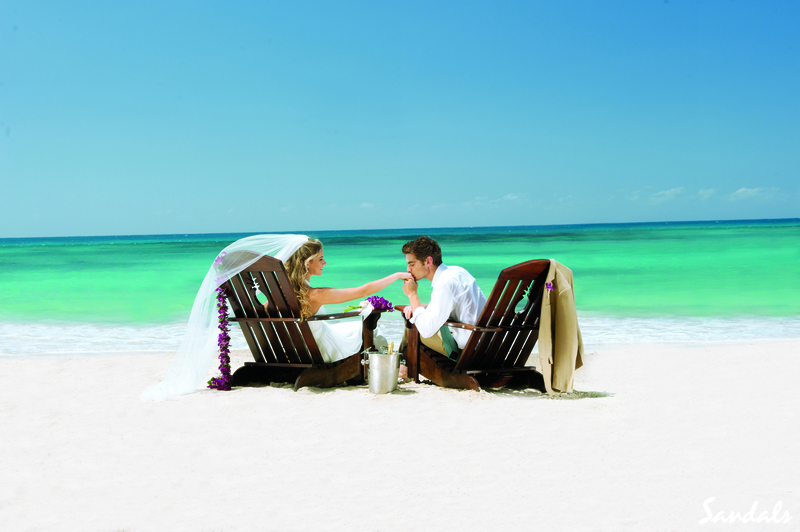 Destination Weddings At Sandals, The Perfect Choice!